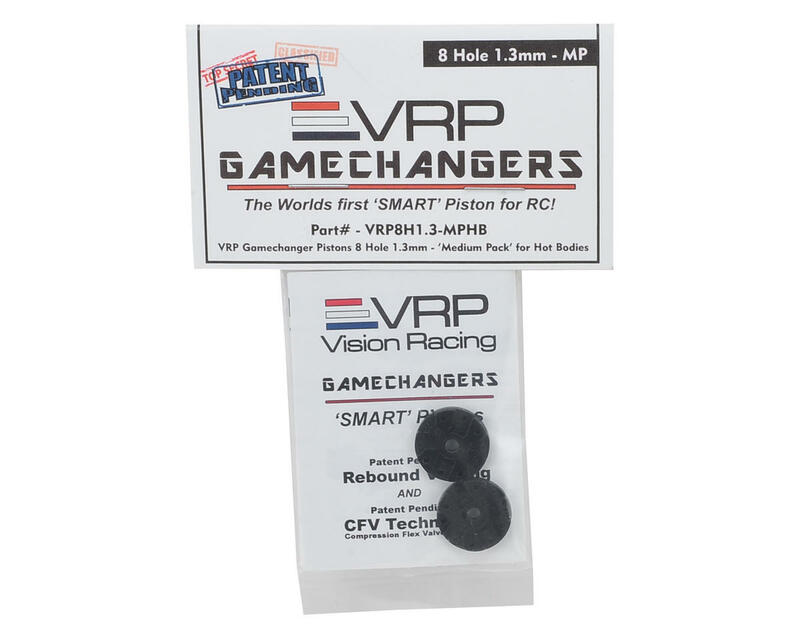 VRP GAMECHANGER Pistons w/Patent Pending CFV Technology. First VRP started with their XV2 Piston and the Quick Rebound System it features. It was important to keep the exact function of that system because its proven track performance and obvious ease of understanding. The Rebound Valve has been re-designed and updated to be smaller and use less of the inner thickness of the piston to improve durability. This minimization was also needed to fit another ‘system’ into a small part like a piston. This System was designed through hours of research on oil flow and pressures built at the face of the piston from surface tension. VRP made 100’s of iterations refining the technology, which meant hours and hours of programming and machining, countless shock rebuilds, test drops, test jumps, slow motion videos, and ultimately track testing. Over the last 8 months, VRP has refined the invention into a smooth working model that fits what we do in racing. The System is ‘Smart’. It senses shaft speed and reacts as needed with the Patent Pending CFV (Compression Flex Valve) allowing the Piston to have Slow Shaft Speed and High Shaft Speed Compression. 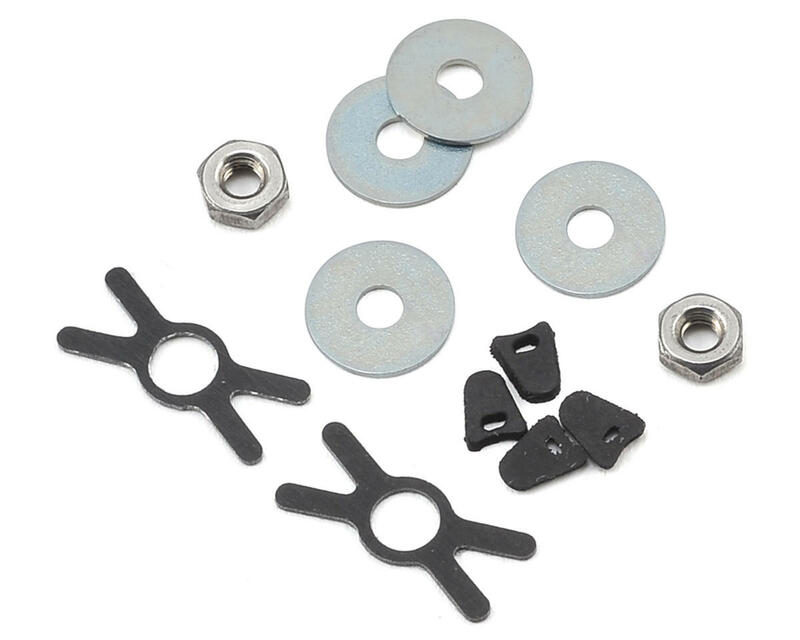 At neutral, it is as soft as any shock with a normal set of comparable pistons. On the bench, you will find the suspension is subtle. Its important that this stays in the range of what you run now, it is what makes the suspension soak up bumps and give forward grip as well as a responsive feel at the wheel. So VRP made the ‘Low Shaft Speed’ Compression very similar to what you know. At High Shaft Speeds like landing a large jump, the CFV will flex and partially cover some of the flow holes and provide additional damping to keep the chassis off the ground. It flexes different amounts depending on the impact and the ‘shaft speed’, so it will respond accordingly. If for example you were to land a smaller jump, the CFV will flex less and provide the correct amount of damping at the time needed. 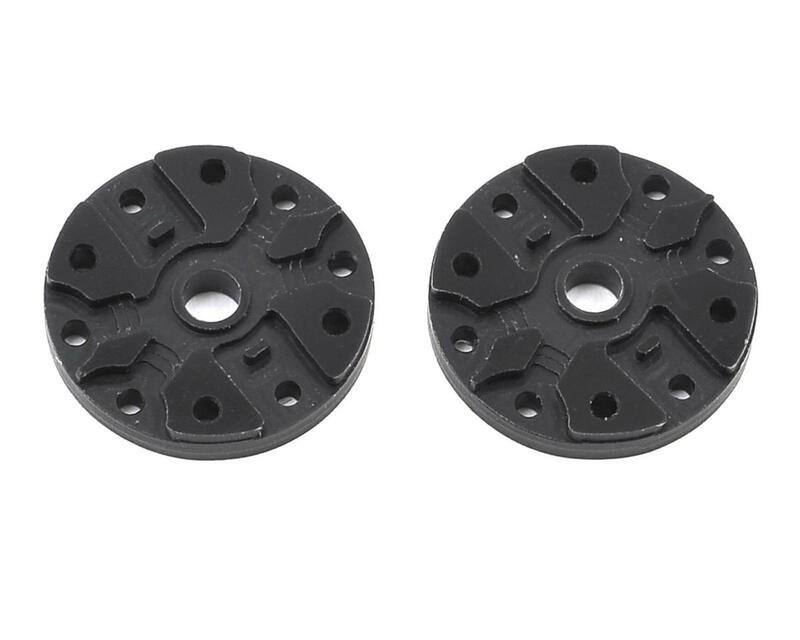 Once the shaft slows down, the valve immediately returns to Slow Shaft Speed Compression, and the damping becomes softer. Engineered with 20 years of composite experience, the actual Carbon Fiber is made in house at the VRP facility in Houston, Texas, USA. It is unique. From the Carbon itself to the Resin its made with, the properties are designed and tailored for the purpose. They are similar to a reed valve for a musical instrument and care should be taken when handling them. Treated properly, they should last the lifetime of the vehicle. You will never have a buggy land, respond, settle, and be ready for throttle quicker than the Gamechanger Piston. Many jumps and landings become a fluid motion with no chassis scrub or momentum loss. The pistons also make the car more true off the face of every jump because it does not dig in. You will find it easier to manage jumps both taking off and landing like never before. This makes your consistency increase and ultimately your racing success. Where the chassis dug in before and you needed turn marshaled, it won’t and you will continue on. I love the other VRP pistons also. But when I’m on a high speed track or a track with large jumps where I want to really reduce chassis slap off into the Ramps and on landings I ran this pistons to reduce my lap times by not scrubbing speed wirh the chassis dragging. Really great pistons.